Four bishops have written their thoughts and feelings about last week’s ad limina visit down and shared the resulting texts on the websites of their respective dioceses. Here, in full, are my translations, reflecting the encouragement that the bishops took home from their encounter with Pope Francis and the offices of the Curia. “What did the ad limina visit bring me as bishop of the North? I think in the first place encouragement. Our report included many statistics which cause concern. The Church, after all, continues to shrink. But the Pope and also his coworkers in the various Congregations and Pontifical Council continuously warned the bishops against a sterile pessimism. The message was always: be patient, make contact, try to connect, don’t write anyone off, don’t blow up any bridges. Every bishop should after all be a ‘pontifex’, a bridge builder. I saw these words as a confirmation of my policy. In a recent article on the future of Roman Catholicism I summarised that policy in two words: clear and cordial. The Church of tomorrow can only thrive when she stays close to Jesus. God’s unconditional love and forgiveness in Jesus for every person and our entire world should be at the heart. God’s mercy should also make us merciful and mild in how we deal with one another. At the same time that should happen in a heartfelt and inviting way. Not with a pointing finger or a frown, but with an open attitude and a smile. There are many stalls in the modern religious market. For religious searchers the choice for Christ and His Church is not always the obvious one. For many of our contemporaries, faith is a search, a process. Parishes and church communities are called to increasingly initiate people in the treasure of Christian tradition and bring them to Christ, step by step. For ultimately every person is called to live his or her life out of the friendship with the living Christ. “The preparations for the ad limina visit of the Dutch bishops were preceded by numerous speculations. What would the new Pope Francis think of the Dutch bishops? Wouldn’t they be strongly chastised for their policies? In that context, many think of the mergers of parishes and the closing of churches, which the bishops would be deciding upon out of ideological motives and because of a shortage of priests. What was striking was that the approach of sexual abuse by Church workers was now getting less attention. In my article for the November issue of the diocesan magazine Op Tocht, which was also spread to the parishes as a letter, I discussed in detail the painful necessity of parish mergers and church closings in several locations. The archdiocese does not take the initiative to close a church. That is in the first place the responsibility of the parish councils, which then request the archbishop to remove a church from service. But in the end neither the archbishop nor the parish council make the decision, but the people who decide to no longer take part in worship and no longer support the Church financially. In the 1950s ninety percent of the Catholics attended Church on Sunday. Today that is five percent and that percentage is still dropping. Anyone can see that church closings then become unavoidable. The same goes for parish mergers. Parishes which can no longer survive alone, can join forces with other parishes and form a new thriving faith community. We must now take our responsibility for the future. Our children who still believe must have the opportunity to celebrate and share the faith. It would be irresponsible to try and maintain everything we have now and use up all available means doing so, leaving future generations empty-handed. The Pope understands this, and so does the Roman Curia. In other parts of the world, for example in the United States, the need for parish mergers and church closings becomes apparent. Between 2000 and 2011, 121 churches in the Diocese of Essen, Germany, were removed from use and closed. Many other topics were also discussed. The Pope and his coworkers received, for example, detailed information from the Dutch bishops about the situation around the sexual abuse of minors. In the last months, fruitful cooperation has come into being between the chairmen of the Bishops’ Conference, the KNR (Conference of Dutch religious) and KLOKK, the major umbrella organisation for victims of sexual abuse. They jointly established a final date of 1 July 2014 for the reporting of claims of sexual abuse concerning deceased perpetrator and cases of sexual abuse that fall under the statute of limitations. Said chairmen also presented a joint report to Secretary Opstelten on 5 November of this year, the so-called base-measurement, in which the implementations of the recommendations of the Deetman Commission of 2011 were investigated. The report includes a number of solid pieces of advice to improve the approach to claims of sexual abuse. The Bishops’ Conference, the KNR, KLOKK, and the management and overview foundation for sexual abuse in the Roman Catholic Church in the Netherlands have enthusiastically begun implementing this advice. The base-measurement was translated into English and sent to the Congregation for the Doctrine of the Faith. The Dutch bishops and the KNR coupled the announcement of the final date with a call to all to supply supportive evidence for claims of sexual abuse where possible. We also called all to – contrary what sadly sometimes occurs elsewhere – not oppose victims in any way when they make a claim, or blame them for it, but support hem as much as possible. They suffered enough under the sexual abuse. We called all to help the Church clean her slate in the interest of the victims. The Pope encouraged us to continue on this road. At the Congregation of the Doctrine of the Faith we were also told that we chose a “good direction”. The way in which Pope Francis replied to the Dutch bishops’ policies was heartwarming for them. He was visibly moved by the difficulties we face. His biggest fear was that we would become discouraged because of the problems we are struggling with, and that we would succumb to feelings of sorrow. He impressed upon us not lose hope, hope in the promises of Christ: “This hope never disappoints.” The message which he repeatedly drew our attention too was, “Do not look back, try not to keep what you once had, but look ahead.” A word that he continuously repeated was, “avanti, avanti, sempre avanti.” Keep going forward than do not look back at the past. In the past the Church may have had great buildings and structures, but we live in the present. In the present, you must take your responsibility. As Dutch bishops we feel very much confirmed and encouraged by the Pope and his coworkers to go “avanti”, that is to say, forward on the path we are on. What we take with us from this very successful ad limina visit is that we should not Always look back nostalgically to a rich past, but that we must go “avanti”, forward, with our task to proclaim Christ and His Gospel. We must now take our responsibility and take the necessary measures, even if they are not always popular, to make sure that there are enough means and opportunities to also in the future proclaim the faith in Dutch society. If we don’t do anything now and maintain everything, we take away from our children the means to share the Gospel and celebrate the faith. For the bishops it was also a special experience to be together for an entire week in Rome. In addition to unity with the world Church, the ad limina visit has also strengthened our mutual unity. Many concrete questions from the bishops have been answered by workers in the Roman Curia. We will get to work with the advice we received, in courage and enthusiasm. “What is the homework that Pope Francis gave the Dutch bishops during the ad limina visit?” I was asked in the preliminary conversation before a radio interview… My answer was that an ad limina visit, since its establishment in the 16th century, is first and foremost a pilgrimage of the bishops to the graves of the Apostles Peter and Paul. And that is how I look back on it as well: the ad limina visit was a precious week in which we, the Dutch bishops, prayed in the four great basilicas (St. Peter’s, St. John Lateran, St. Mary Major, St. Paul-Outside-the-Walls), in the Church of the Frisians and in the Santa Maria dell’Anima (where Pope Adrian VI, from Utrecht, lies buried). The fact that, on 2 December, we could first celebrate Holy Mass at the tomb of Saint Peter in the catacombs and shortly afterwards meet the personal successor of this Apostle on the see of Peter, Pope Francis, was for me without doubt the high point of our ad limina visit. In the Gospel of Luke, Jesus calls the Apostle Peter to strengthen his brothers, the other Apostles, in their faith. And that is exactly what Pope Francis did towards us as Dutch bishops. Aware of the situation in which the Dutch Roman Catholic Church finds herself, the Pope directed words of hope and encouragement to the bishops and all Roman Catholics in our country. In the ‘group talk’ with the Pope I could ask him, referring to Jesus who washed the feet of his disciples at the Last Supper (John 13), how he sees the relation between liturgy, especially the Eucharist, and diakonia. Pope Francis’ answer was that the worship of God and the service to the neighbour, especially the neighbour in need, are inextricably entwined. He also mentioned practical examples from the Archdiocese of Buenos Aires where he was archbishop. We can mirror the practical examples from our archdiocese to that; for example the food collection for the Food bank during the Chrism Mass in Apeldoorn. We continue encouraged, with hope and joy, amid the concerns and responsibilities. The Pope and the Curia, people with their inspiration, it has all come much nearer for me. I am grateful for having experienced this and also grateful that we are part of that one world Church, led by the Pope, above all of the Holy Spirit, accompanied by Mary, Peter and Paul and all those other saints and blesseds. It has strengthened me, not least the daily Masses and prayer and sympathy of many at home. That does good. Also released yesterday, the full text of Cardinal Eijk’s address to Pope Francis at the start of the meeting of the bishops with the Holy Father on Monday. As reported earlier by several bishops, the talk is mainly a summary of the general report for the ad limina, and does not contain much we don’t know already. As an introduction, though, it suffices, and for the sake of completeness I share my translation below. We, the Dutch bishops, have looked forward eagerly to this personal meeting with you, the current vicar of Christ on earth, and we consider it the high point of our ad limina visit, after the Masses at the graves of the Apostles Peter and Paul and in the Basilicas of St. John Lateran and of St. Mary Major. For the major part of the Dutch bishops this will be their first meeting with you, which adds a special tone to this moment. The ad limina visit is in the first place a pilgrimage to the graves of the Apostles here in Rome and the personal meeting with you. It is also a chance to report on the religious, cultural, social and pastoral developments and some problems and special questions regarding our Church province. About all of this we have sent you a report from our Conference which, except for the report of each diocesan bishop, has also been published. In the general report we want to paint a clear and honest picture of the current situation in our Church province and we say clear-cut that it is not in every aspect optimistic. The number of Catholics in the Netherlands continues to decrease rapidly. This mostly concerns the number of practising Catholics, which means that the number of financial means available is decreasing rapidly. Since the Church in the Netherlands is not subsidised by the state, she depends on voluntary donations from the faithful. Although these are very generous towards the Church, they are unable to collect sufficient financial means to maintain their parish churches. We expect that one third of the Catholic churches in our country will have to be closed by 2020 and two-thirds before 2025. In recent years the Dutch dioceses were forced, for the same reason, to reorganise their curia and let employees go. In the case of the Archdiocese of Utrecht, this was also necessary to avoid bankruptcy. As in other countries, the Church in the Netherlands also has to deal with the problem of sexual abuse of minors by workers in the Church. The Dutch Bishops’ Conference and the Conference of Dutch Religious closely cooperated in having this issue investigated by an independent committee, with an institution were such cases can be reported, a commission to investigate them, a committee for recompense and a platform for psychological support of the victims. We are determined to recognise the problems of the victims, compensate the damage done and help them heal as much as possible. Regular meetings between the chairmen of the Dutch Bishops’ Conference, the Conference of Dutch religious and a top down organisation of victims has led to increased mutual confidence. Together they determined the final date of 1 July 2014 for the reporting of sexual abuse by deceased person and abuse that is under the statute of limitations. We urge everyone to present evidence, insofar as it can support the claims of victims, and help them report the claims, as far as possible, so that the Church can make a fresh start in this area, in the victims’ interest. Our report is realistic but not pessimistic. We notice that the practicing Catholics which remain are taking their faith increasingly serious, are more positive towards the Church and have an increasingly close personal relationship with Christ. We hope to be able to maintain a number of churches which can then serve as centres of communities of faith with a living faith, which is visible in the liturgy, the catechesis of children, youth and adults and diaconal activity, which is so important in our modern society. These faithful will support the Church in the Netherlands and be the leavening of the coming Kingdom of God. We are very much delighted to be able to meet with you today, and we want to say that we feel deeply united with you. Yu may be assured of our prayer for you, that God may richly bless you for your task to lead the Church in the world in this time. From our side, we ask you to pray for us and grant us your Apostolic Blessing. Some bishops later also visited the Pontifical Councils “Cor Unum”, for the Family and for Justice and Peace. The day began, however, with Holy Mass offered at the Basilica of St. John Lateran, the Pope’s cathedral. Bishop Frans Wiertz, ordinary of Roermond and in age the most senior member of the conference (except for Bishop van Burgsteden, who is retired but retains some duties in the conference), gave the homily. Bishop Wiertz was clearly much inspired by yesterday’s audience with Pope Francis, and he spoke about the importance of evangelising by witnessing as the saint we celebrate today, St. Francis Xavier, did. “What is notable in this young missionary is his zeal and his drive to proclaim the Gospel. When he had been in India for about a year, Francis wrote: “Throngs of people here do not get into contact with Christ for the simple reason that there is no one ready […] to tell them about it.” There were too few labourers for the harvest. But that did not stop Francs Xavier from continuing his holy mission and proclaim the Gospel. You could wonder what he thought to be able to do in that immense country of India. Afterwards he went to Japan, which at that time was most certainly an unassailable fortress. But he managed to reach the emperor and was even permitted to proclaim his faith. 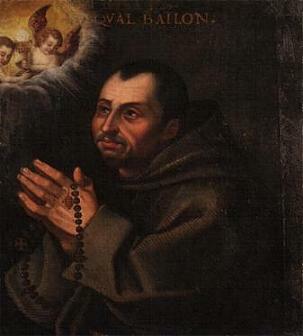 Francis Xavier would certainly have been aware of the fact that he could not convert the entire world. And he must have realised that not everyone he baptised was as enthusiastic in putting his faith into practice. But that did not stop him from wanting to continue witnessing of Christ. In that respect he is a great example for us. His words, “Throngs of people here do not get into contact with Christ”, could have been about our country in 2013. The statistics of Church attendance and reception of the sacraments could be dejecting. But dejectedness does not help us forward. Continuing in patience with expressing the Gospel does. All this, Bishop Wiertz explained, must be an encouragement to the bishops to do nothing more or less than this: to make Christ present in society, in all aspects of their ministry: liturgy, proclamation and certainly also in diaconal ministry: the pastoral care for the poorest and marginalised. “A patient and loving sound that it can be different. That our existence does not need to end in loneliness, but that there is a God who is interested in us and cares for us. That may be crystal clear to us. But I don’t need to tell you that there are entire generations in our country who have never heard of Christ and His loving message. Just because I can, a news roundup from the Dutch dioceses. Let’s take a look at what’s been going on in the various corners of the Church province. Led by Cardinal Eijk, some 100 faithful from the Archdiocese of Utrecht have been on pilgrimage to Rome this week. They visited various churches (Cardinal Eijk’s title church San Callisto, Saint Peter’s, the Church of the Frisians, Saint Mary Major (pictured) and Saint John Lateran), celebrated Mass at the tomb of Saint Peter, saw the sights and capped the trip off with today’s general audience with Pope Francis. Cardinal Eijk offered Mass every day in concelebration with the accompanying and some local priests. In the Diocese of Breda, the Franciscan sisters in Bergen op Zoom celebrated the 175th anniversary of their diocesan congregation’s existence. They did so in the presence of Bishop Jan Liesen and other guests, and also used the day to reopen their chapel after a year of restoration work. As the congregation also has a thriving sister house in Indonesia, Bishop Michael Angkur of the Diocese of Bogor was also present. With his entourage, he visited other congregations (and some local sights) in the diocese as well. Also in Breda, the pilgrims to the World Youth Day in Rio had their first reunion (pictured). They did so at Bovendonk seminary. The pilgrims looked back on the weeks in Suriname and in Rio de Janeiro, sharing their experiences with each other and with those who stayed at home to take part in WYD@Home. The Diocese of Haarlem-Amsterdam bade farewell to its vicar general, Msgr. Martin de Groot (pictured at left with Bishop Jan Hendriks), after 50 years of service in the diocese. The farewell took place with a choral evensong in Amsterdam’s Basilica of St. Nicholas followed by a reception. In addition to the diocese’s Bishops Punt, Hendriks and Van Burgsteden, Rotterdam’s Bishop van den Hende and Utrecht’s auxiliary Bishop Hoogenboom were present, reflecting the wide-ranging duties that Msgr. de Groot performed in and beyond his diocese. Also in Haarlem-Amsterdam, a unique appointment: the first female Magister Cantus (or, in this case, Magistra Cantus) of the Netherlands. On Sunday Ms. Sanne Nieuwenhuijsen will be installed as such by Bishop Punt. She will have responsibility for the music in the cathedral basilica of St. Bavo, the musical institute connected to it and the choirs. She has been conducting the cathedral choir since 2010. Now that we have gotten somewhat used to yesterday’s news, and all speculation has, well, not died down, but channeled into a few set directions, here’s a look at the major players in the coming sede vacante period. The Apostolic Penitentiary, concerned with questions of conscience from the faithful and the pressing matters related to it, will continue to function during the sede vacante. Cardinal Manuel Monteiro de Castro, who leads the office, will remain in office likewise. 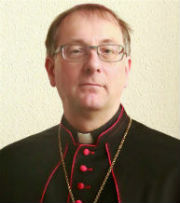 Cardinal Tarcisio Bertone (pictured) will remain on as Camerlengo. He will head the management of the goods and finances of the Holy See. He will also chair the daily meetings of the College of Cardinals for the daily affairs of the Church. Upon the election of the new pope, he will accompany him to the papal apartments and hand him the keys. Cardinal Bertone will also declare the result of every ballot during the conclave. Upon his invitation, the cardinals will meet for discussion and reflection when needed. The vice-chamberlain, Archbishop Pier Luigi Celata, will work with him outside the conclave. The cleric prelates of the Apostolic Chamber will assist the Camerlengo. They are Msgr. Assunto Scotti, Msgr. Luigi Cerchiaro, Msgr. Paolo Luca Braida (Italians all), Msgr. Philip James Whitmore (British), Msgr. 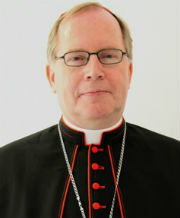 Winfried König (German), Msgr. Osvaldo Neves de Almeida (Argentinian) and Msgr. 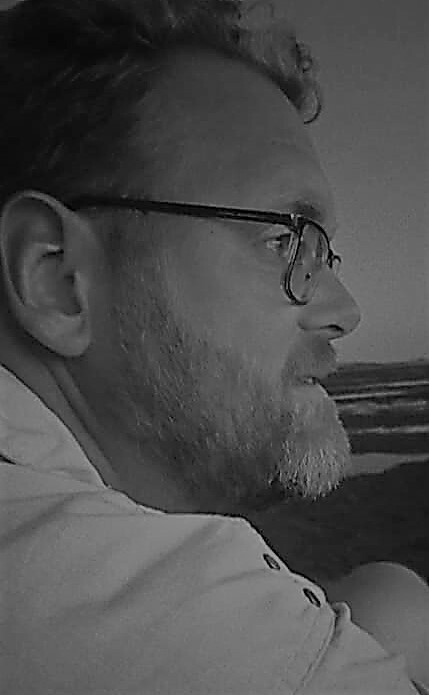 Krzysztof Józef Nykiel (Polish). During the sede vacante, the archpriests of the papal basilicas will take over the Pope’s liturgical duties. They are Cardinal Agostino Vallini (pictured) for St. John Lateran, Cardinal Angelo Comastri for St. Peter’s, Cardinal James Harvey for St. Paul-Outside-the-Walls and Cardinal Santos Abril y Castelló for St. Mary Major. Also involved in the papal liturgies during the sede vacante are the Master of Ceremonies, Msgr. Guido Marini, and the Almoner of His Holiness, Archbishop Guido Pozzo. The pastoral care of the Diocese of Rome will be the responsibility of the Vicars-General: Cardinal Agostino Vallini. for Rome and Cardinal Angelo Comastri for the Vatican City State. After the cardinals have entered the Sistine Chapel for the conclave, and after they have all taken the oath, Msgr. Guido Marini will call “Extra omnes!”. He will distribute the ballot papers to the cardinals and then leave the chapel..
Cardinal Giovanni Battista Re, in place of the Cardinal-Dean (Cardinal Sodano is 85 and therefore too old to take part in the conclave), will announce the start of the first ballot after any remaining questions have been answered. Cardinal Re will also ask the newly elected Pope if he accepts his election. If Cardinal Re himself is elected, that task falls to Cardinal Bertone. Cardinal James Harvey (pictured), as the junior Cardinal-Deacon, will lock the doors of the Sistine Chapel before the first ballot. He will be responsible for who enters and leaves during the voting: assistants to those cardinals who may be too ill to be in the Sistine Chapel can leave and return to collect those cardinals’ ballots. Cardinal Jean-Louis Tauran, as the College of Cardinals’ Protodeacon (the most senior Cardinal-Deacon) will have the honour to announce the “habemus papam” to the masses on St. Peter’s Square. The Curia of the Church will in many ways cease to function once the Pope has abdicated. Only some pressing matters may be handled by the College of Cardinals, but she is not allowed to do anything that is normally under a Pope’s authority. Most readers, even those who, like me, don’t follow politics too closely, will have noticed that there is a new president in France. François Hollande, who indeed has Dutch forebears, does not only win the highest political office in the country, but also a whole raft of religious titles and privileges, as the Belgian Church news website Kerknet reports, taking information from French newspaper ‘La Croix’. France is often said to be the ‘eldest daughter of the Church’ and that has consequences, although mostly ceremonial, even for an agnostic president. The most important title, which the president inherits from the French monarchs, is that of honorary canon of the Basilica of St. John Lateran in Rome, the cathedral of the Diocese of Rome. King Louis XI first received this title in 1482, and it was reinstated when King Henry IV renounced Protestantism and donated the Benedictine monastery of Clairac (and all its income) to the basilica in 1064. Since 1957, the title is given automatically to all French heads of state. President Hollande can also use the title of proto-dean of the cathedral of Embrun and of the Basilica of Notre-Dame de Cléry near Orléans, and that of honorary dean of Saint-Jean-de-Maurienne in Savoie. He is also automatically honorary dean of Saint-Hilaire in Poitiers, Saint-Julien in Mans, Saint-Martin in Tours, Saint-Maurice d’Angers, Saint-Jean in Lyon, Saint-Étienne in Cahors and Saint-Germain des Prés in Paris. Politically, the French president is head of state of Andorra, a position he shares with the bishop of the Spanish Diocese of Urgell, Archbishop Joan Enric Vives i Sicília. Lastly, the president of France can give the red cardinal’s hat to the Papal Nuncio in Paris, if the latter is created a cardinal. That happened, for example, in 1953 with Cardinal Angelo Roncalli (later Pope John XXIII) and in 1959 with Cardinal Paolo Marella (later the archpriest of St. Peter’s and vice-dean of the College of Cardinals). That won’t be happening anymore, though, since new cardinals generally receive their hat from the pope directly. But, in theory, it is still an option. It just goes to show that the separation of church and state isn’t always simple.